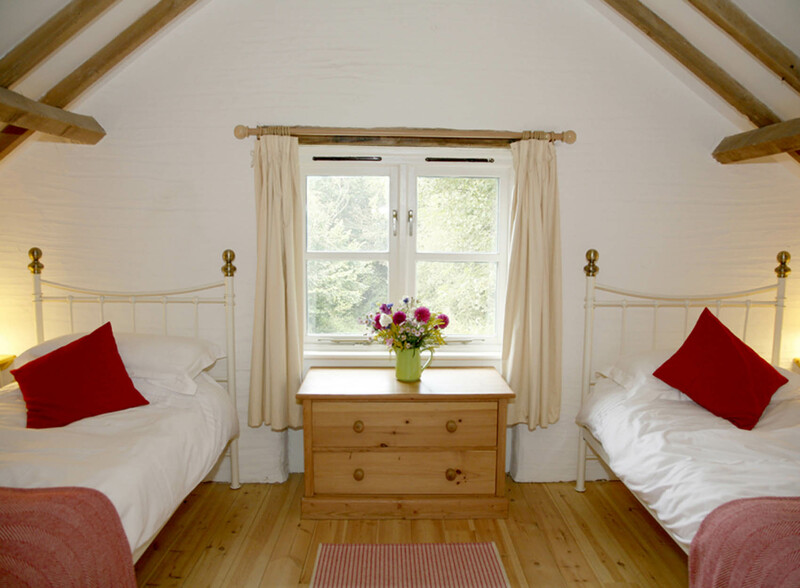 This wooden beamed cottage offers four-star two bedroomed accommodation consisting of a double bedroom, a galleried twin bedroom and a shower room. The front door leads into the open plan living area and kitchen, with views over the grassed courtyard and beyond. 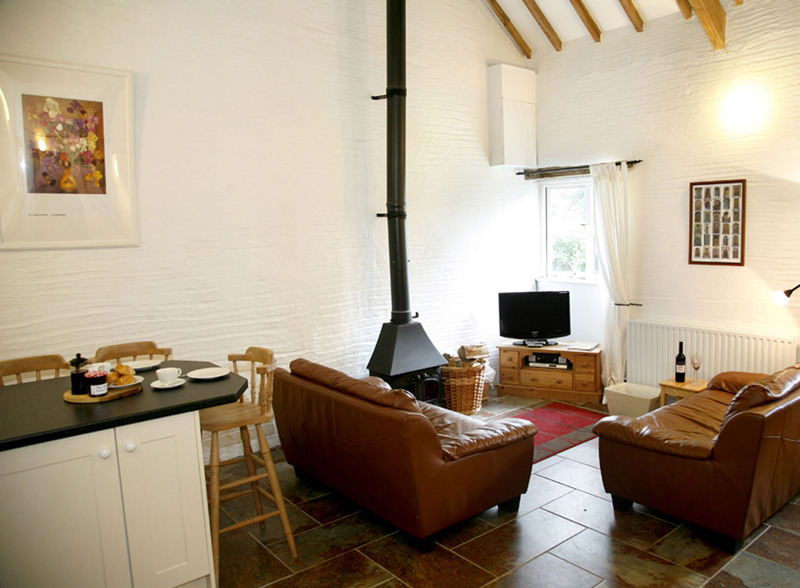 The living area is furnished with 2 sofas, wood burning stove, digital colour tv with Sky Freeview and radio, DVD/CD player and wireless broadband. 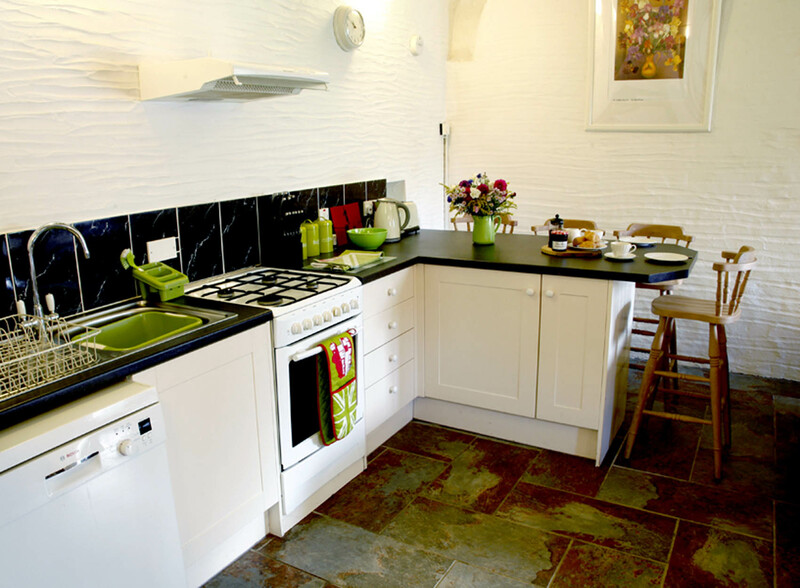 The kitchen is fitted with a cooker including gas hob and electric oven, fridge/freezer, dishwasher, microwave. 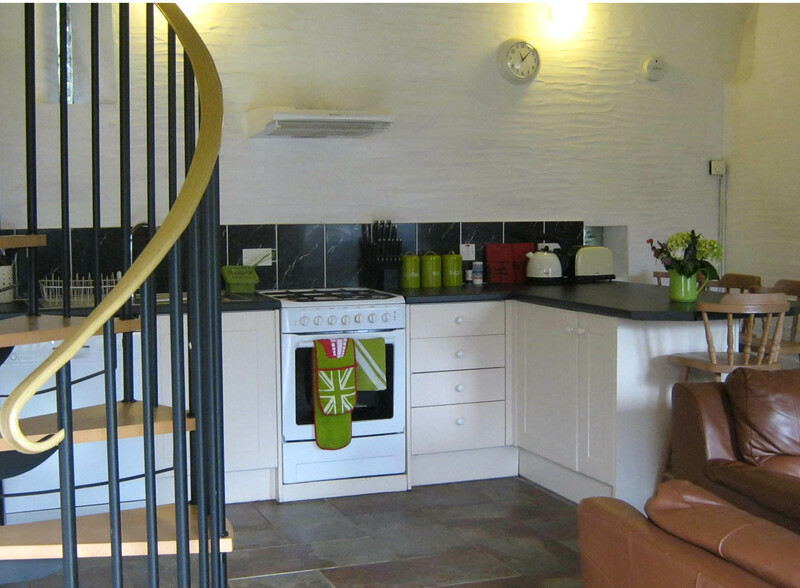 Leading from the living area is a double bedroom and shower room with shower, toilet, basin and shaver point, making this potentially suitable for people with mobility problems. 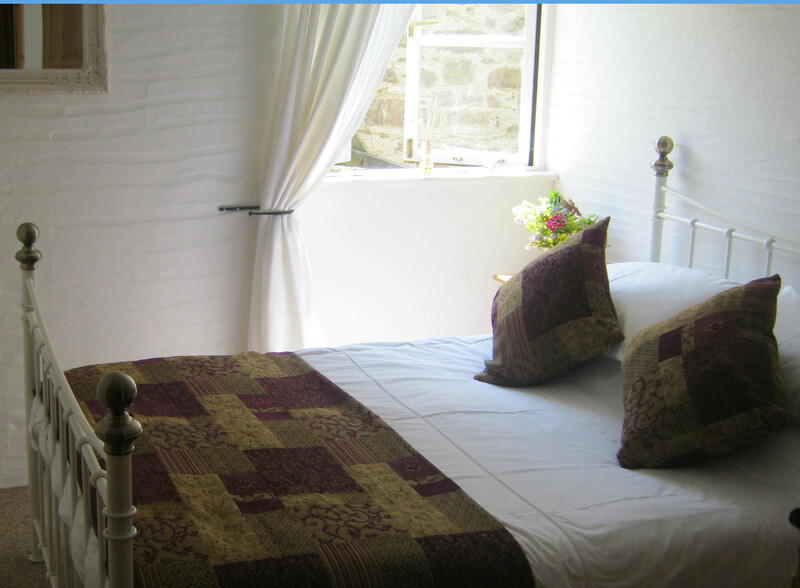 A spiral staircase leads to the pretty twin bedded gallery bedroom with views over the valley. Outside, there is a private patio area, with picnic table and barbeque; there is parking for two cars. 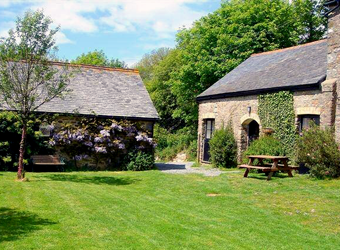 We provide free Broadband so contact can be maintained with the outside world via laptop. Cellphones do not work in the farm area, though reception is possible at the top of the hill.